I am searching for the Andhra University M.C.A second year (first semester) examination result? 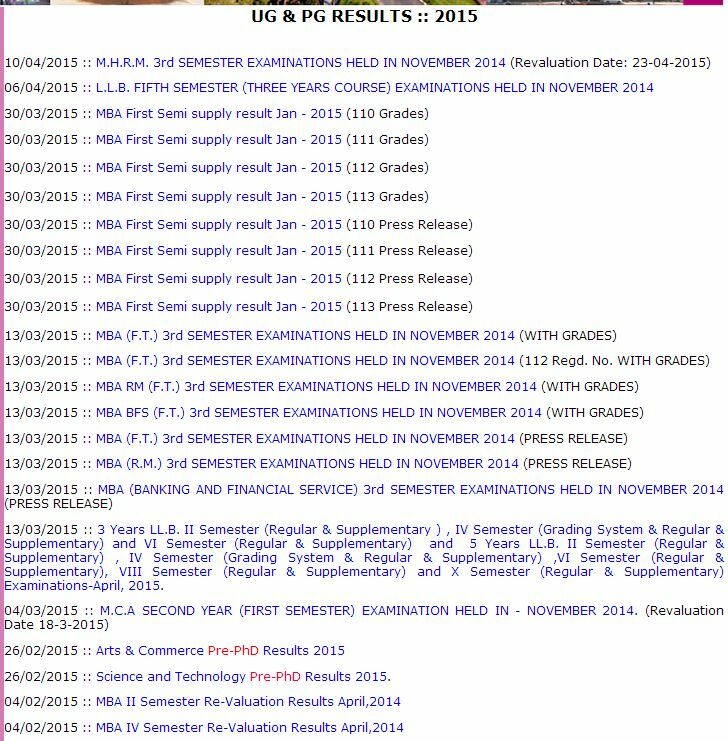 Can you please tell me from where I can download the Andhra University M.C.A second year (first semester) examination result? 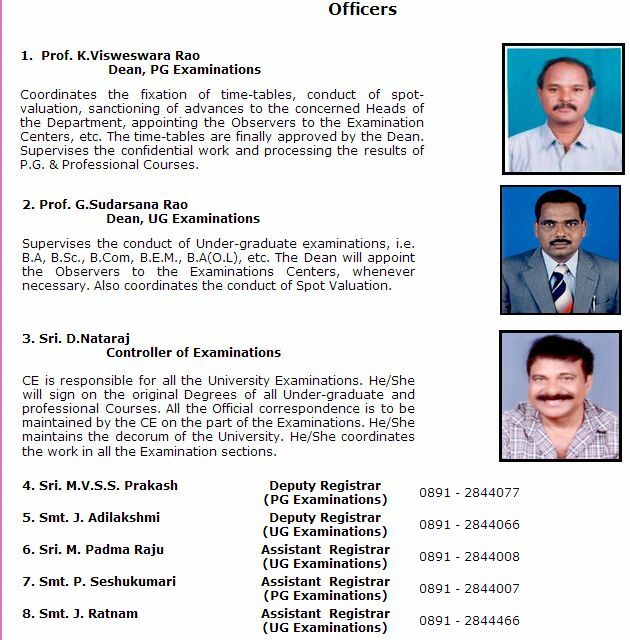 The Andhra University M.C.A second year (first semester) examination was held in - November 2014. The Andhra University M.C.A second year (first semester) examination result was declared on 04/03/2015. When you visit the above link you will find the Examinations section at the left hand side you should need to click on that option. When you visit the above link you will find the Results option the left bottom of the page you should need to click on that option this will opens the result page of the Andhra University. 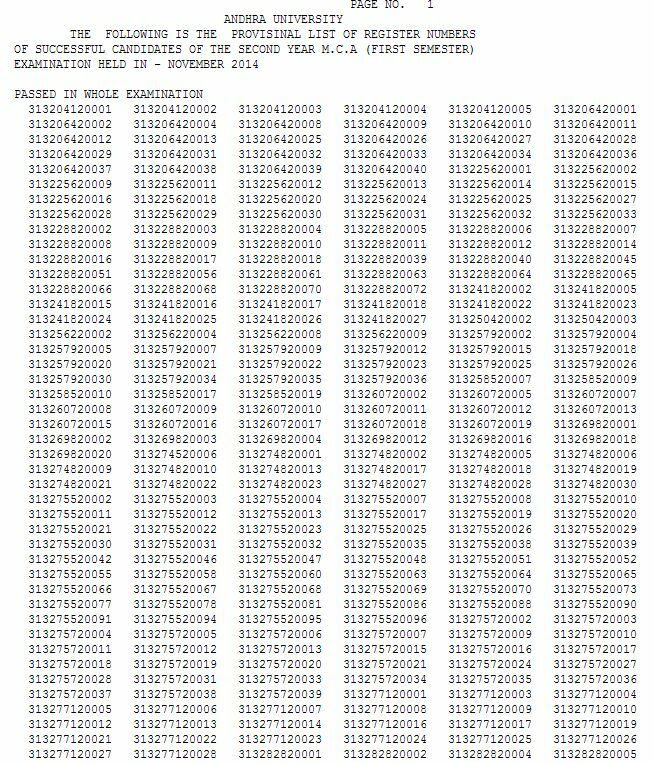 When you visit the above link you will find the M.C.A SECOND YEAR (FIRST SEMESTER) EXAMINATION HELD IN - NOVEMBER 2014 link. You should need to click on that link.